This project explores a new model of medium density housing that utilises disused, contaminated land for public and private use. The site (a former tip) is remediated, and developed into a new public park with ten generous town houses at its rear. In blurring the public/private boundary, the family-oriented dwellings borrow from the public space, while local residents gain agency of a previously inaccessible site - creating a greater sense of community and a more habitable space for all. 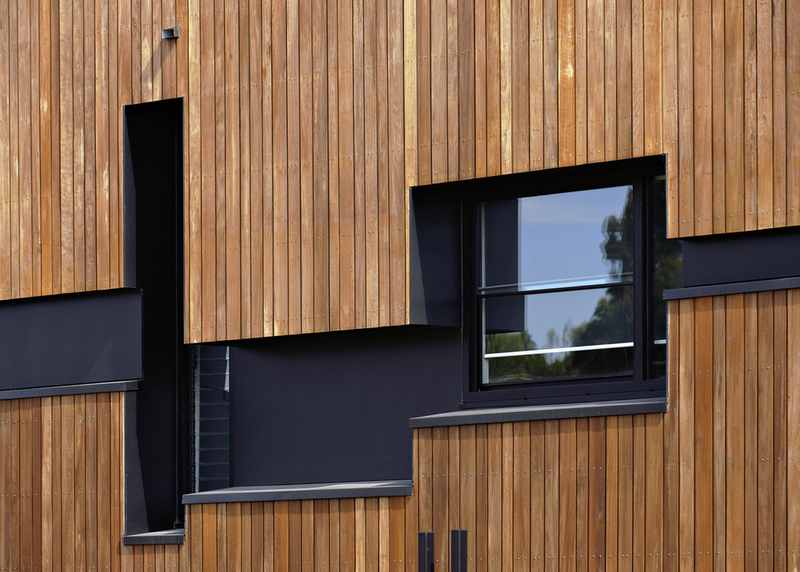 The building’s form is treated as a whole, broken up across the façade through the expressive use of deep window reveals and an exposed timber stair. To lower the bulk of the development and avoid a row of garages facing the park, a semi basement was dug and the soil mounded up on the park area. This terra-forming provides some separation from the street, assists in water retention and provides differentiation between the dwellings and the public park area. The private terraces and pathway at the front of each dwelling are purposefully ambiguous in their public/private nature – paying homage to the way local Greek and Italian migrants inhabit their front porches and interact with the street.